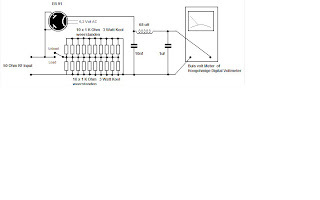 Measurements of RF power are usually performed while making use of a diode (either Si or Ge). 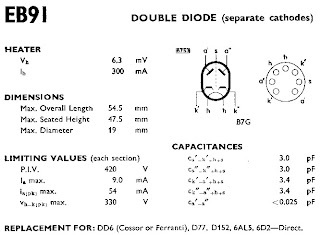 A fault in the measurement is introduced, when using silicum diodes, because of the voltage drop of 0.7 Volts. (With Ge diodes about 0.4 Volts). This disadvantage does not exist when using a rectifier tube. 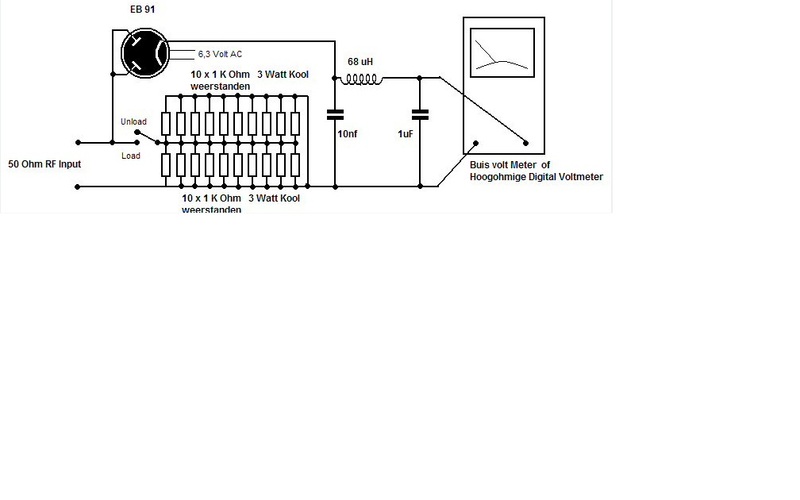 In the circuit below the rectifier tube EB91 is used. The circuit can be used till RF powers of appr. 50 Watts. When measuring larger RF powers with a diode, the max. 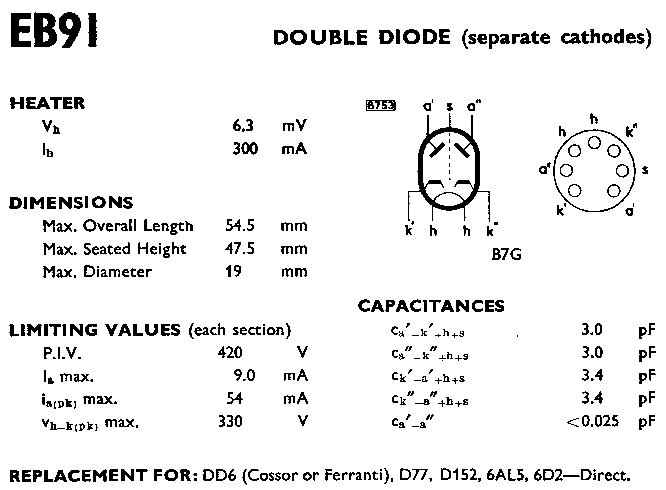 tension of the diode can be exceeded thus introducing an inaccuracy in the measurement. This disadvantage does not exist when using a rectifier tube. Of course 6.3 Vac must be available for the tube’s filament. A Philips EZ80 or EZ81 should work fine in a similar circuit. The measuring device must be calibrated before it can be used.